We’ve had Cabernet Sauvignon vines sent into space and now a NASA scientist has claimed that it’s possible to make wine in space with the right technology. Growing grapes in space – the final frontier? “Wine grapes would be an interesting challenge. We have been working with some dwarf fruit trees that the USDA developed, and I have heard that they also have some dwarf grape vines, so if the plants were small enough or could be trained around, for example, lights, it would certainly be possible to grow them. Massa told Gizmodo that next year astronauts will try and pollinate dwarf tomatoes by hand on the ISS – a process that could be applied to space vines. 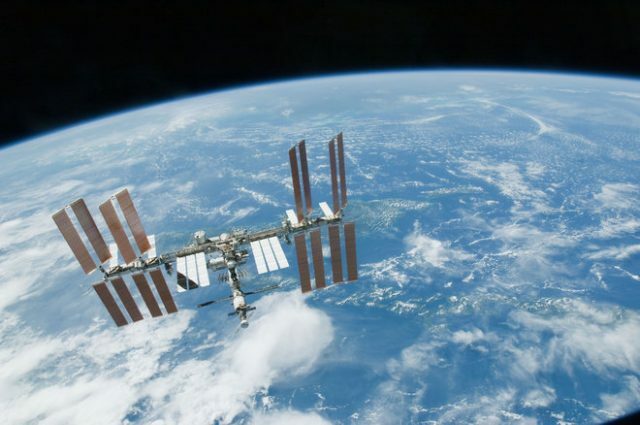 “For the actual process of winemaking, I suspect a microbial bioreactor could be developed that would allow the fermentation and other processes to occur in microgravity,” she told Gizmodo. “Fermentation is an anaerobic process so the fact that fluids and gasses don’t mix well in space might not be a problem for that process. You might have to inoculate with the right types of microorganisms, but I think it would be possible,” she added. The upside of growing grapes in space is that they wouldn’t be exposed to vine diseases or bugs like phylloxera.